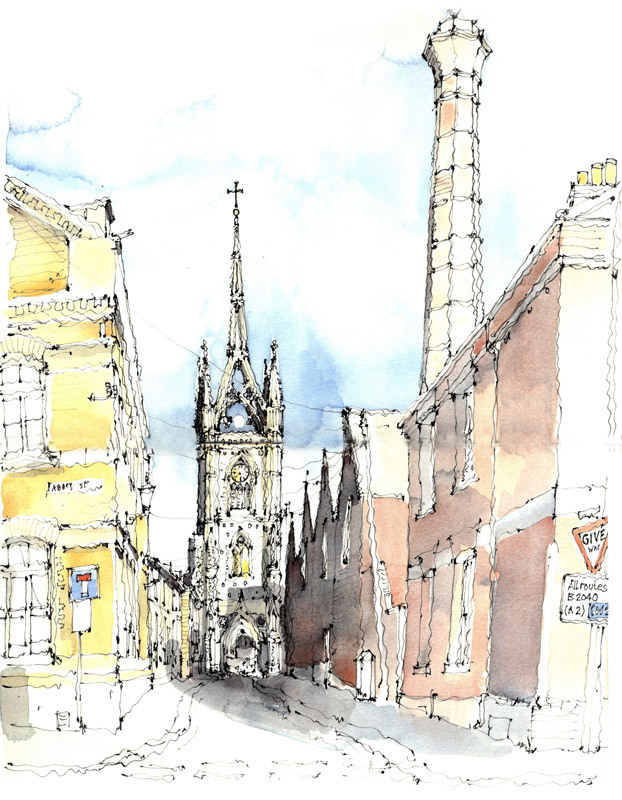 Faversham Life reports on the meticulous restoration of a handsome building, at the heart once more of the town's social and community life. Those of us who love the novels of Jane Austen are familiar with the role of assembly rooms in the lives of young women of good family in want of an eligible suitor. It was in the assembly rooms at Meryton, we recall, that Mr Darcy first met Elizabeth Bennet and pronounced: ‘She is tolerable; but not handsome enough to tempt me.’ Quite quickly, of course, his estimation of her looks and character grew warmer, leading to a famously condescending offer of marriage. 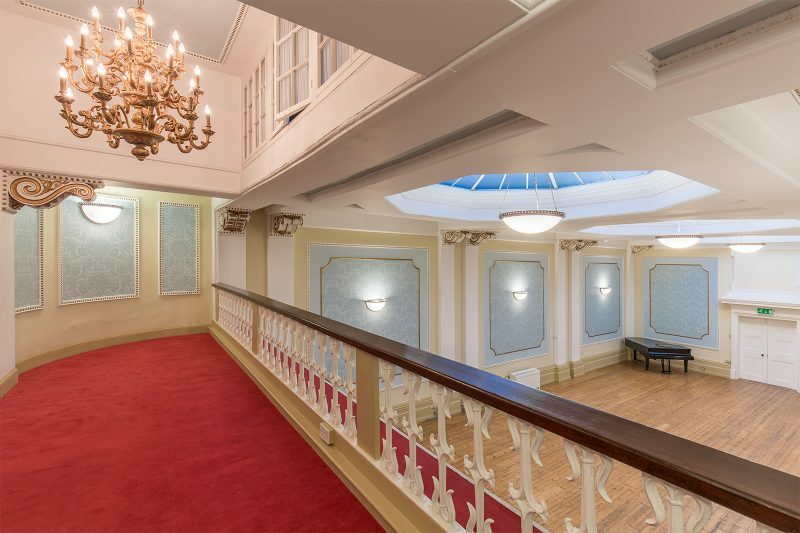 In the 18th and19th centuries, assembly rooms were to be found in spa towns such as Bath, major cities – York and Edinburgh – and smaller towns dotted around the country. 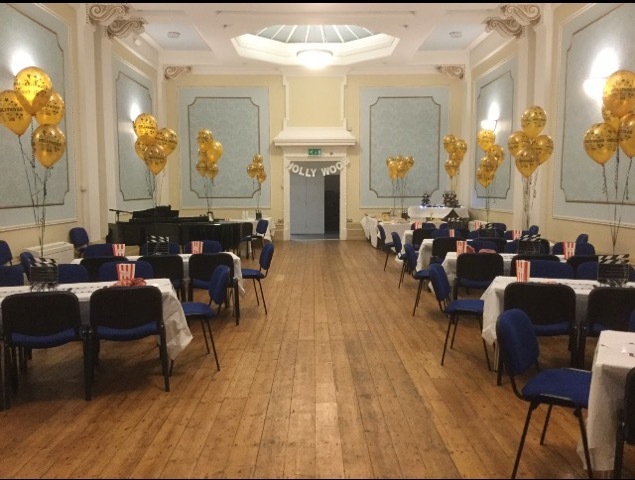 Supported by the subscriptions of members, assembly rooms provided the setting for balls, banquets and ‘assemblies’ of various sorts, including concerts. The larger premises might also have had smaller rooms for playing cards, or for the taking of tea or supper. Unmarried women were admitted, provided they were chaperoned, and assembly rooms were a popular hunting ground for the socially acceptable match. Faversham’s handsome Italianate assembly rooms were built in Preston Street in 1849, on the site of an earlier building destroyed by fire. Just a year after this the new building opened, designed by Maidstone architect Martin Bulmer. He was Architect to The Rochester Bridge Trust and Kent County Architect from 1860 to 1878. The builder was local man Thomas Ware. 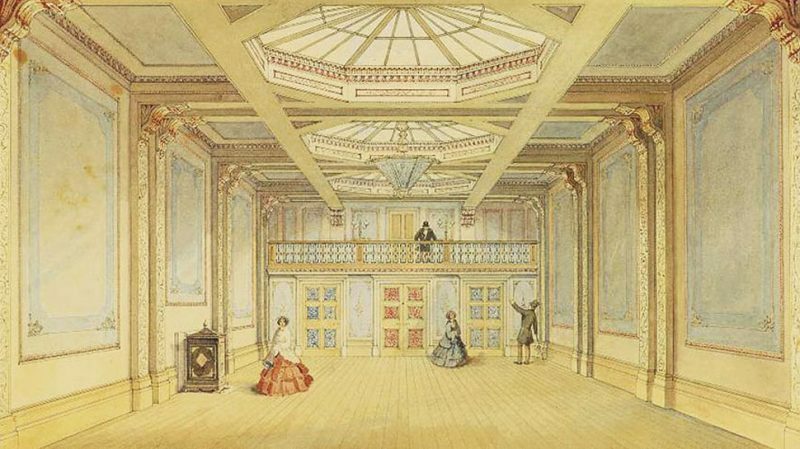 Bulmer’s watercolour of the interior in 1853 shows an elegant space, 56ft long and 28ft wide, with a musicians’ gallery; it was lit by three large octagonal lanterns in the roof. The room is 17ft high and has excellent acoustics. 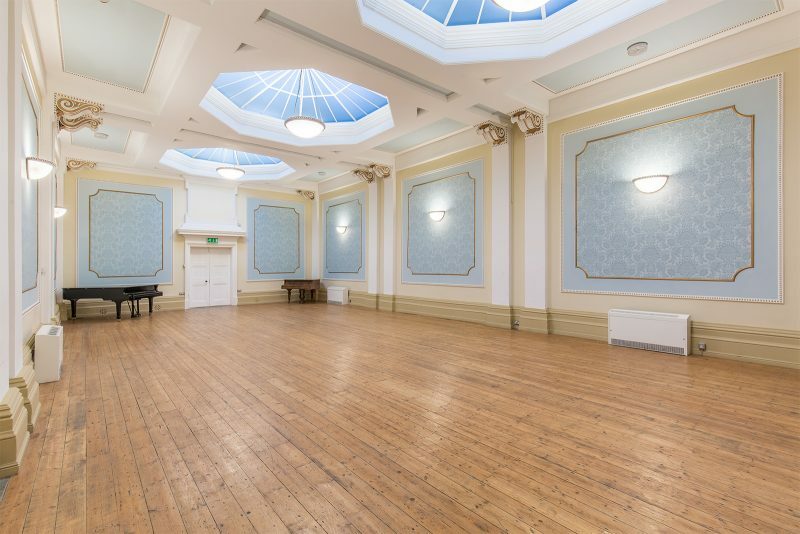 In their heyday, Faversham Assembly Rooms were a great success, hosting events such as a celebration dinner held by the Lord Mayor of London and company directors to mark the arrival of the railway in 1858. However, competition gradually came from other venues, including, from 1862, the Faversham Institute, a large brick building in East Street, with a main hall on the first floor. A centre for education and entertainment, the Institute was demolished in 1979. John Anderson Court now stands on this site. 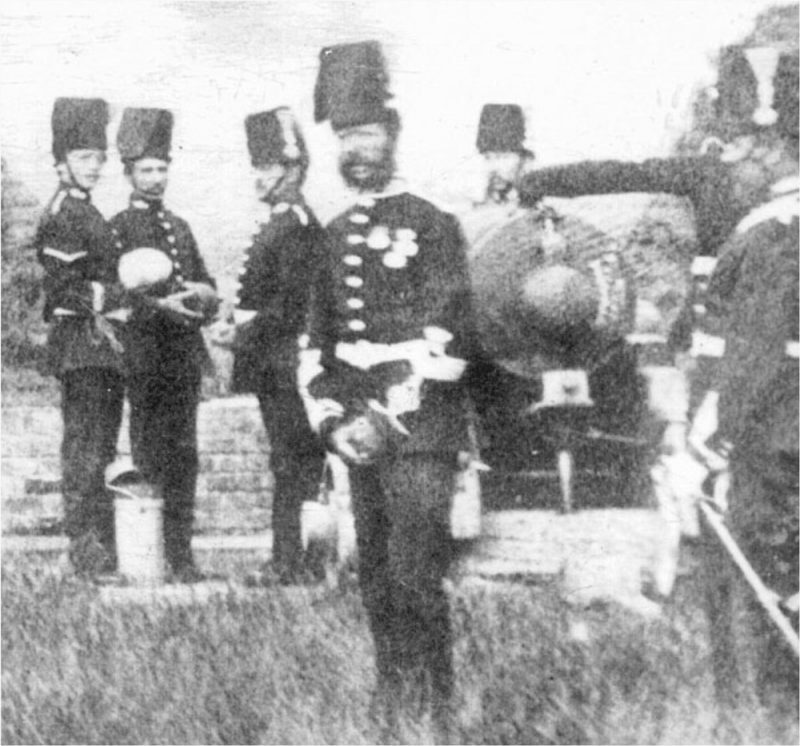 By 1869, Faversham Assembly Rooms were leased by what would now be the Territorial Army. In 1911, The War Office, forerunner of the Ministry of Defence, assumed full responsibility for the site. In recent times, the space was used by the Faversham Army Cadets and by Air Training Corps units. 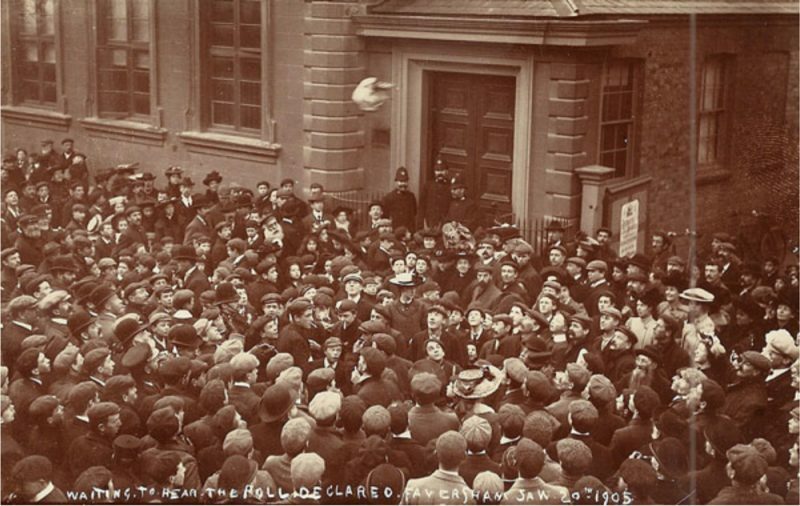 Local residents still refer to the building as the Drill Hall. In 2011, however, the fortunes of Faversham’s neglected assembly rooms looked up. 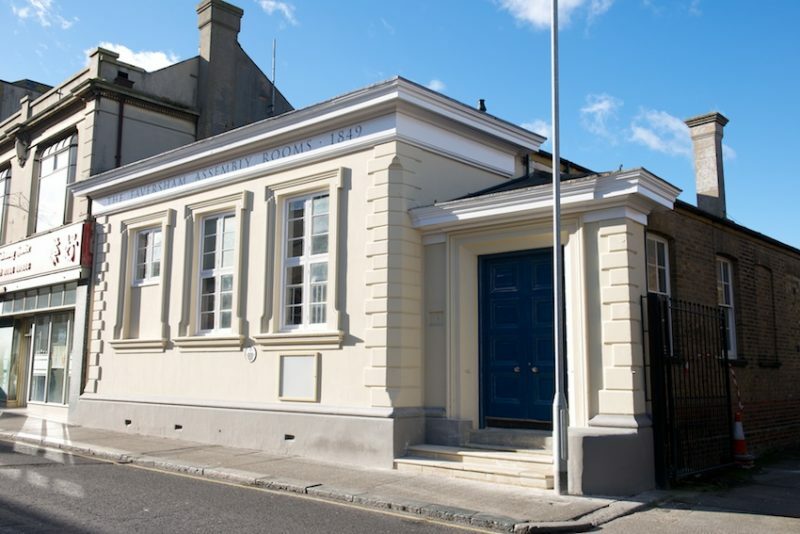 The MoD decided to sell the building and a nucleus of committed people, involved in the Faversham Enterprise Partnership, namely Laurence Young, who managed FEP, Arthur Percival, a Director, and Sir Roger Moate, MP for Faversham from 1970 to 1997, who was Chairman, were keen to buy it. They were joined by Air Commodore (RAF retd) Bill Croydon CBE, who was a former Chief Executive of Swale Borough Council. The Faversham Buildings Preservation Trust was set up, and negotiations were started straight away with The Architectural Heritage Fund. (Bill knew them well as he had been negotiating funding for a major project, unsuccessful sadly, for an air museum on Sheppey, which played a key role in the early history of British aviation.) A loan was secured, for £210,000, guaranteed by Swale Borough Council, and the Trust were soon the proud owners of several listed but very dilapidated buildings, including the caretaker’s cottage at the rear, which was sold to raise funds. Sir Roger, who is Chairman of the Board of Trustees, Bill Croydon and Faversham conservation architect Jonathan Carey, who are both Trustees, kindly stayed on after a Board meeting to talk me through the restoration. This was carried out by Nick Auston, whose design practice has offices in London and Sheerness. 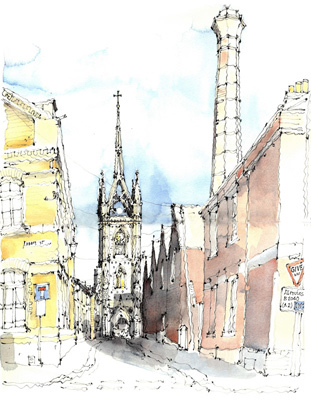 The original plans by Martin Bulmer formed the brief for the work. ‘Nick did a brilliant job,’ said Sir Roger. ‘The walls were all painted battleship grey, there were no doors and it was a shooting gallery – it’s the only concert hall in England that has a firing range.’ The bright red warning notice that alerted building users to ‘Firing in progress’ has been retained in the entrance lobby. ‘The walls,’ added Jonathan, ‘were lined with rubber sheets and tin.’ The original wooden floor, now returned to near-pristine condition, was heavily pitted by hobnail boots. Happily now, the six-year restoration plan is complete. The Faversham Buildings Preservation Trust spent a total of £350,000, which includes the cost of purchase as well as renovation. The AHF loan has been replaced by a long-term loan from the Charity Bank. There has also been generous support from individuals, trusts, companies and Kent councils. ‘Fundraising,’ says Bill, ‘is a continuing preoccupation.’ The Budapest Café Orchestra, which thrilled audiences at the Canterbury Festival, has been booked for a fundraising concert on Sunday 13 May at 7.30pm. All profits will go to support the running costs of the Assembly Rooms. Tickets cost £15 and are only available in advance from victor.frith@btinternet.com or 01795 590588; no tickets on the door. Visit www.budapestcafeorcestra.co.uk to find out more, and for information about the orchestra leader www.chrisgarrick.com. An elegant, hand-painted sign on the front elevation is a finishing touch. 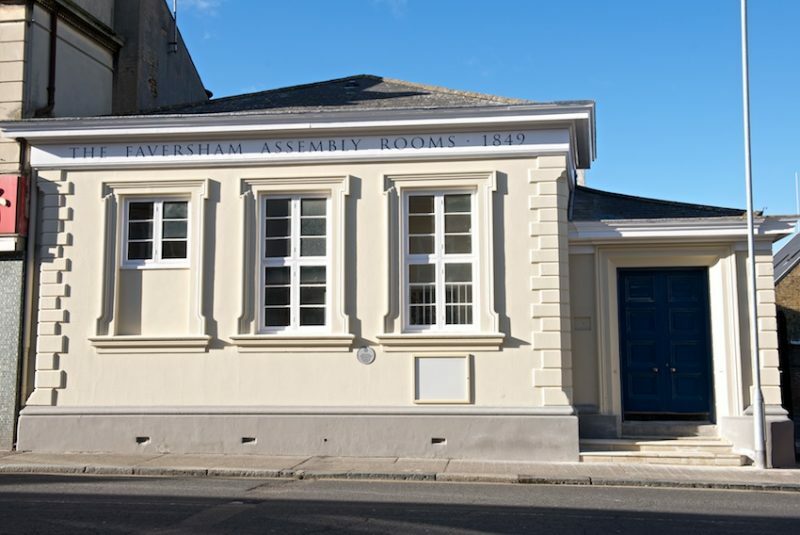 It reads: The Faversham Assembly Rooms 1849. In addition to the much-loved Tuesday and Saturday classical concerts (see article in Faversham Life on 13 October 2016), the handsome blue doors now open regularly for tea dances, pilates classes, birthday parties, jazz, the Faversham Music Club, gatherings and meetings, including those of the local Labour Party. The room can hold 120 people with ease, and feels well populated with 50. Hiring charges are affordably modest. A new website is in preparation.